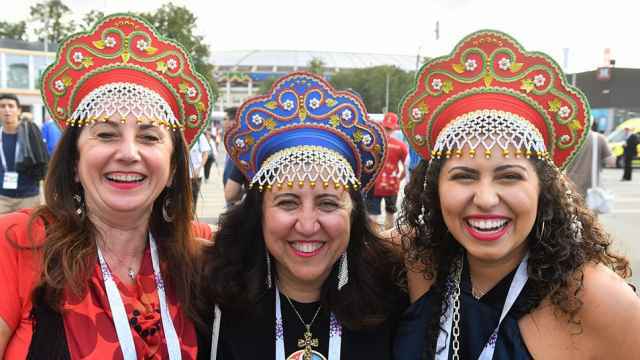 After a dream start to the World Cup with two resounding victories, Russian fans are once again pessimistic about their team’s chances in the next round after an ignominious 0-3 loss to Uruguay on Monday. Some Russian fans drily commented that they recognized their team again. “Greetings, team Russia, I missed you,” one person tweeted. Other social media users mocked Russian sports commentators’ unwavering patriotic optimism during the match. “We’ve just conceded two goals and have a red card and the commentator says: Well, nothing terrible has happened yet. YOU’RE RIGHT, EVERYTHING IS JUST GREAT,” one fan tweeted while watching the coverage on Match TV. “Listening to [state television’s] Channel One, you would think that we were leading by 3-0, playing like gods and the scoreboard was mistaken,” someone else wrote. Sports pundits are divided about Russia’s chances in the next round of the competition, with many saying that the defeat exposed the team’s flaws. Others said the result “brought Russia out of the clouds” and gave the team a chance to make all of its mistakes in a game that still allowed it to progress to the next round. Russia now faces Spain at Moscow’s Luzhniki Stadium on July 1 in the knockout stages of the tournament.